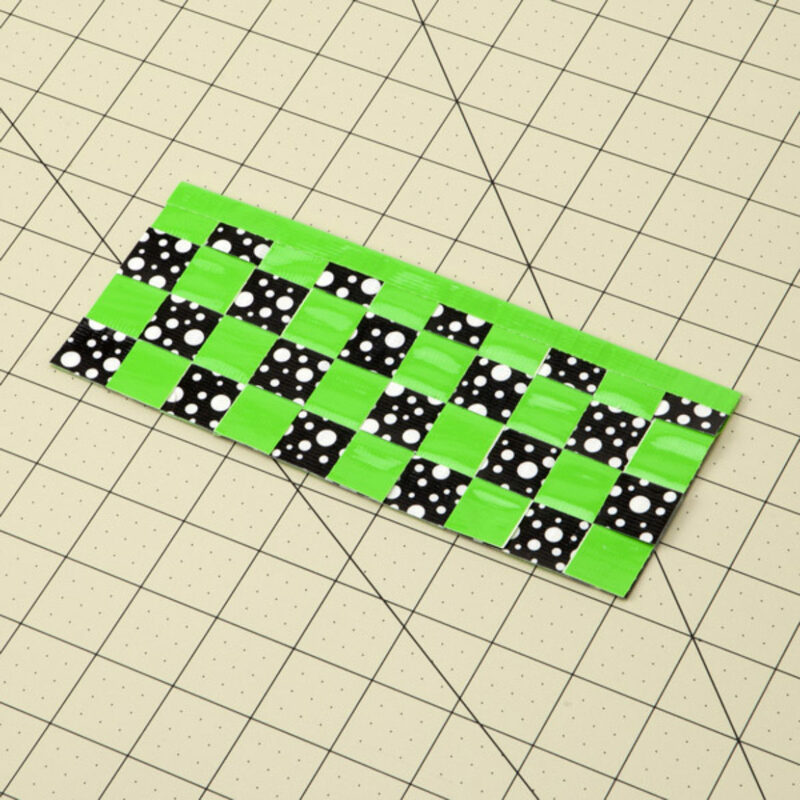 Using a color mini roll, create a piece of fabric one strip wide and 3 in. long. Repeat this step until you have 10 strips. 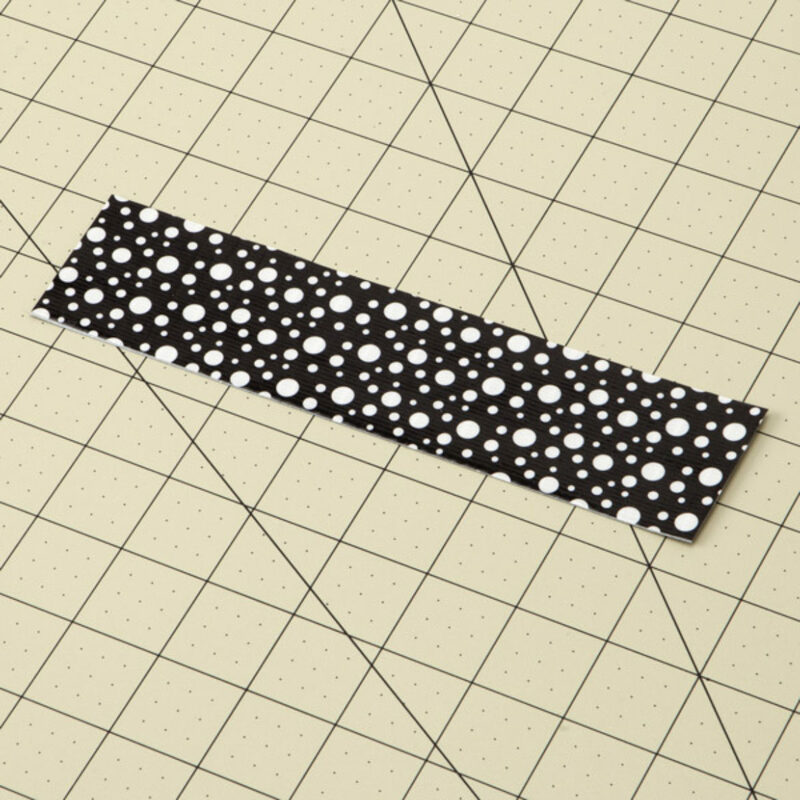 Using a printed or color mini roll, create a piece of fabric that is one strip wide and 8 in. long. Repeat this step until you have four strips. 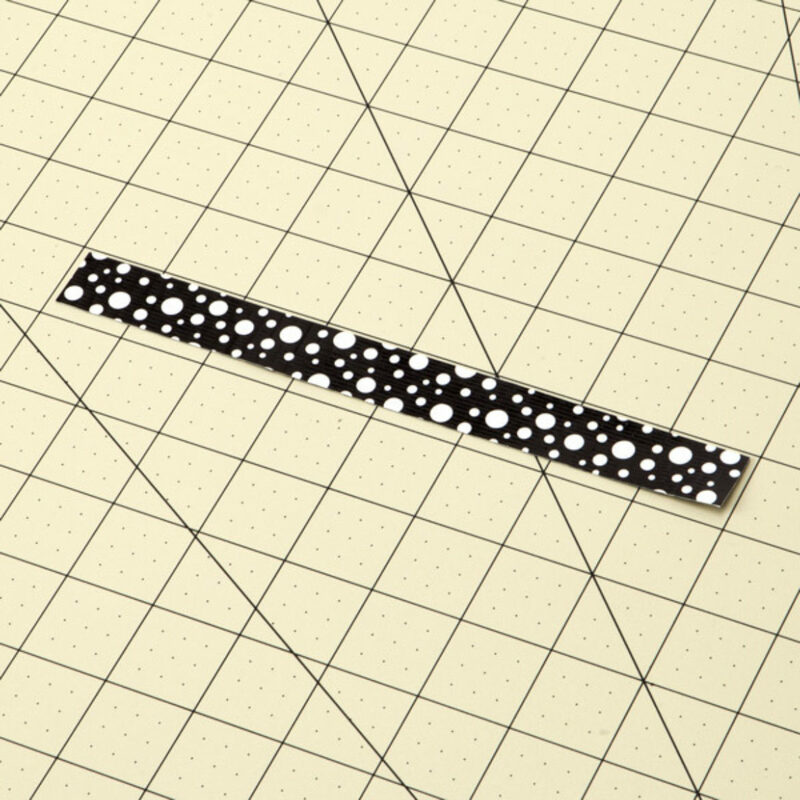 Lay the four printed strips next to each other on your crafting board and weave the 10 smaller strips of solid color tape into them. 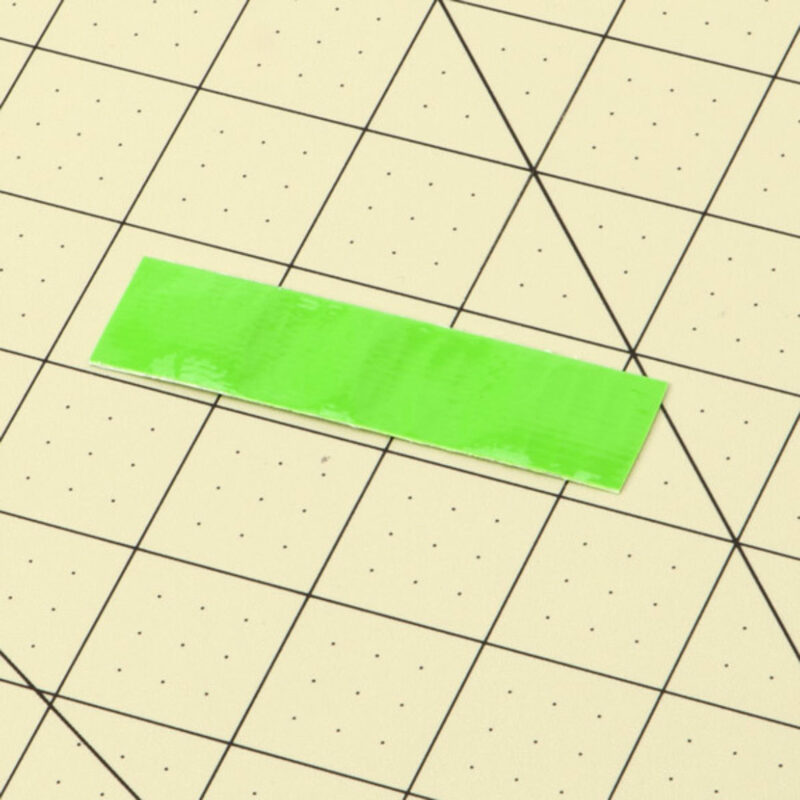 Fold a strip of tape over the top edge. 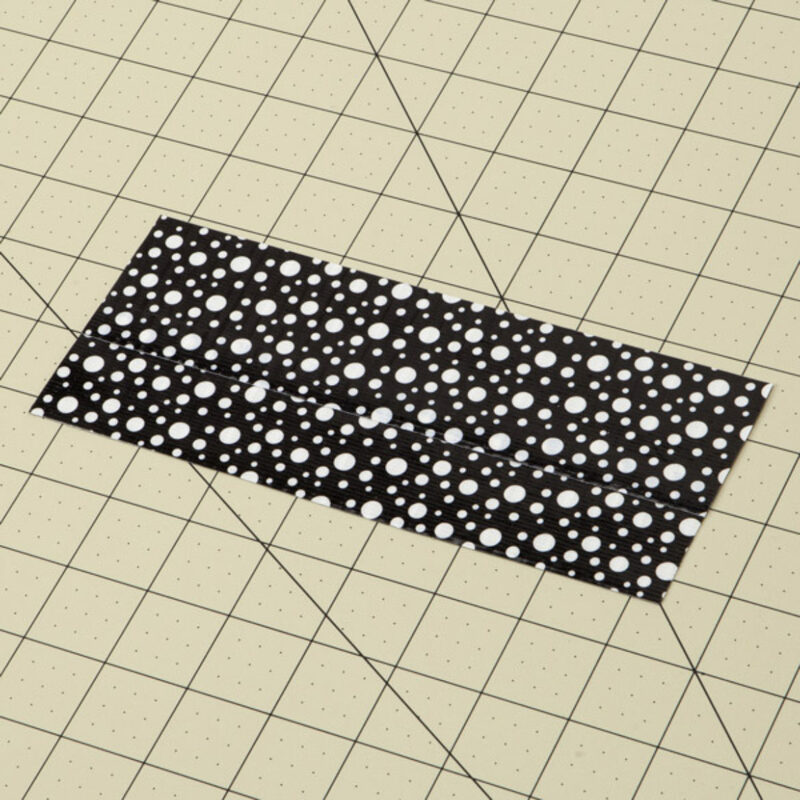 Trim any excess. 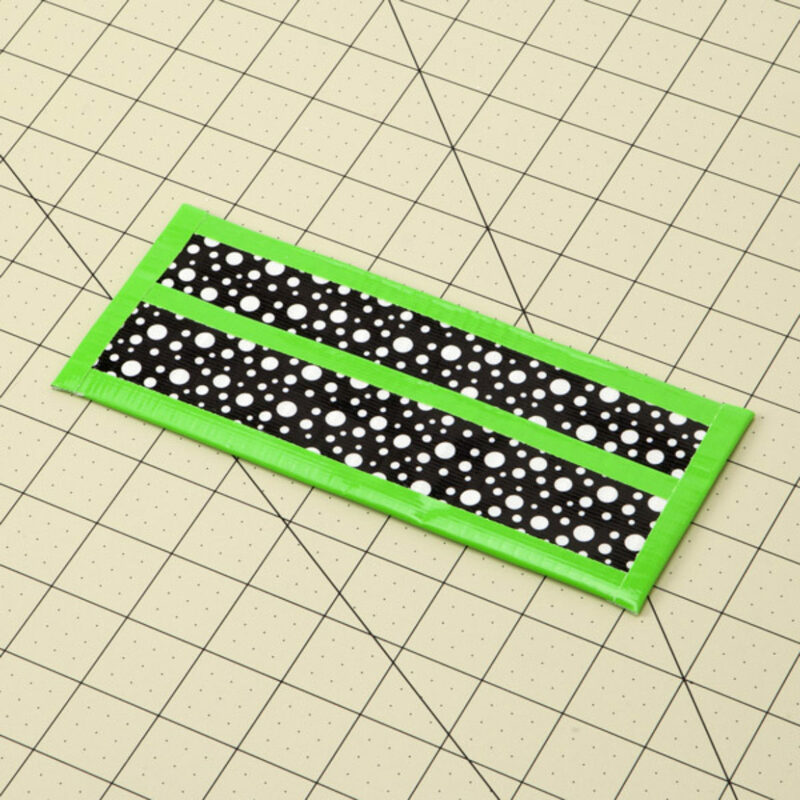 Make a piece of fabric with your mini rolls that measures 3 in. by 8 in. 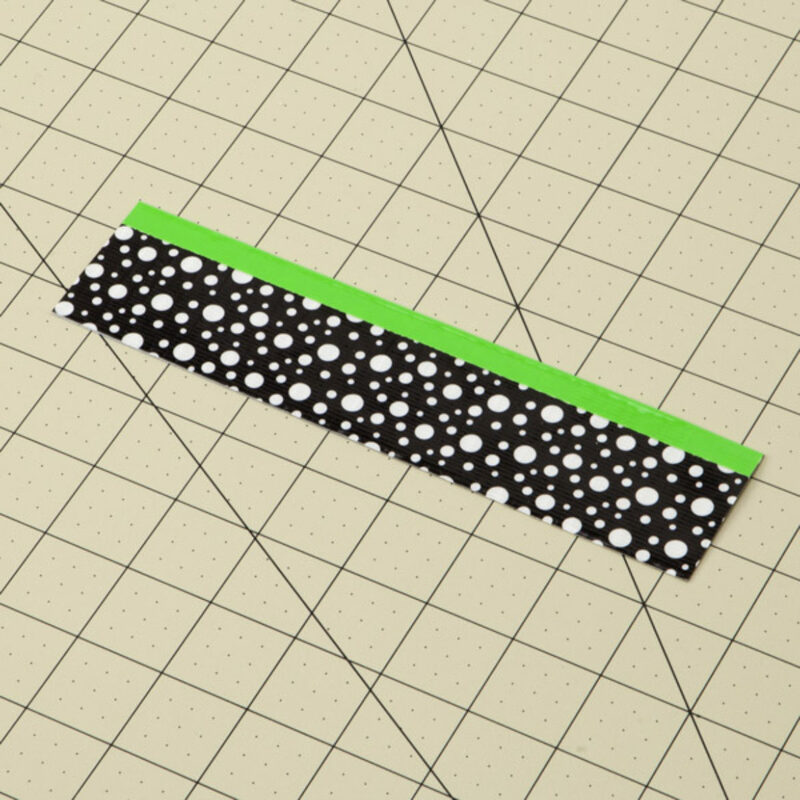 Fold a strip of tape over the top edge of the piece you made in step 5. 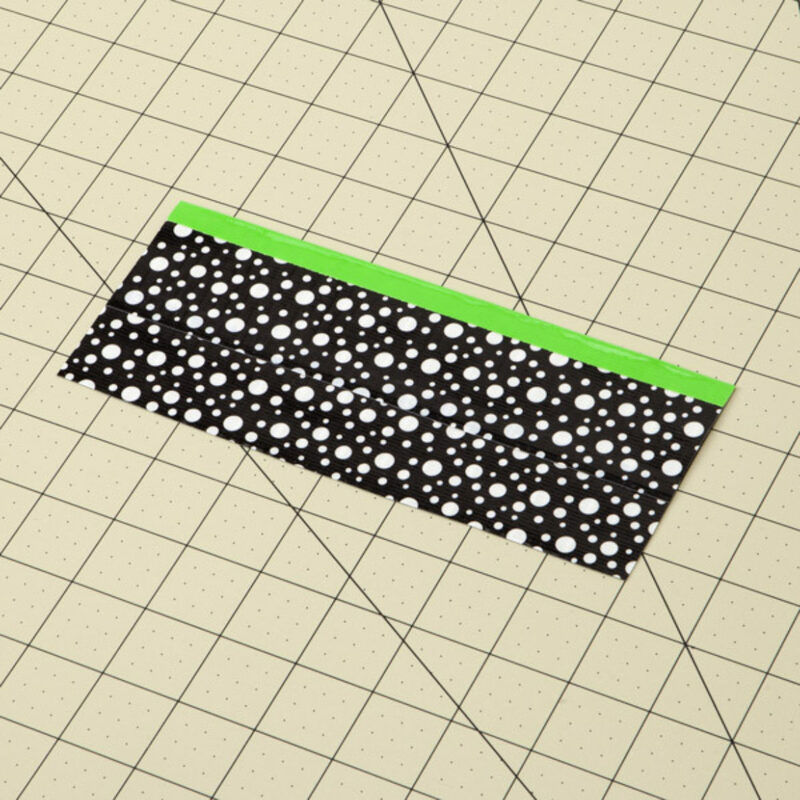 Trim any excess. 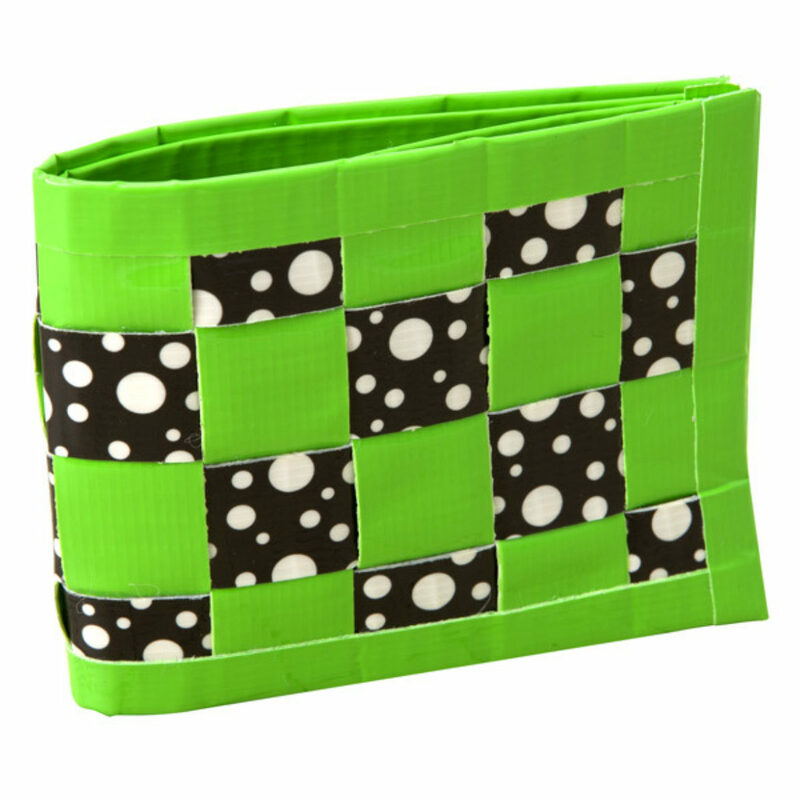 Make another piece of fabric with your mini rolls that is approximately 3 strips wide and 8 in. long. 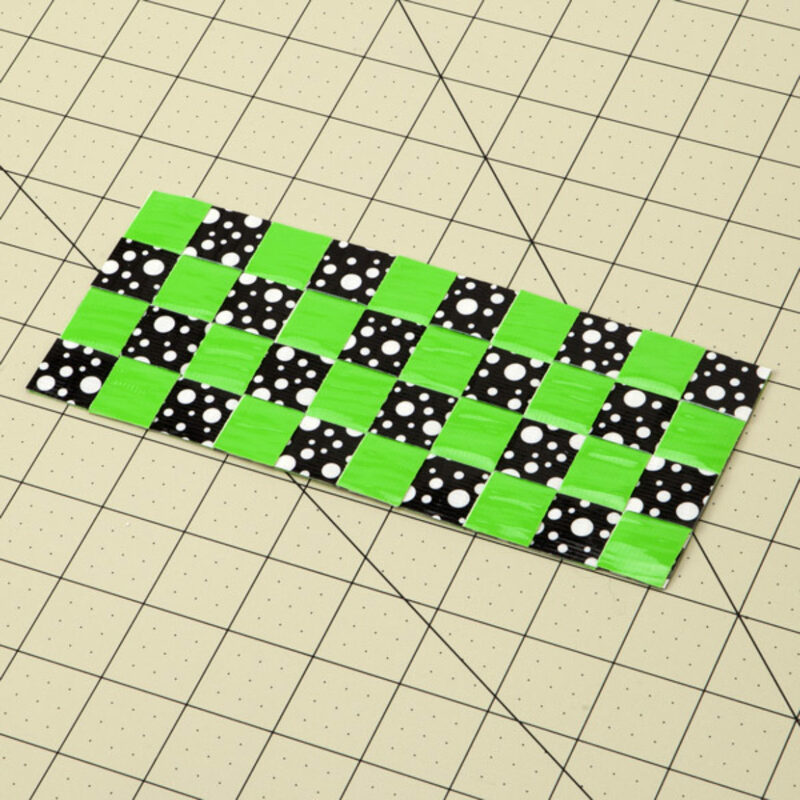 Fold a strip of tape over the top edge of the fabric you made in step 7. Assemble your wallet. Lay the woven piece down first, then place the piece from step 5 on top and then the fabric from step 7. Fold a strip of tape over the bottom and sides. Cut a piece of tape that is .75 in. wide and 3 in. long. 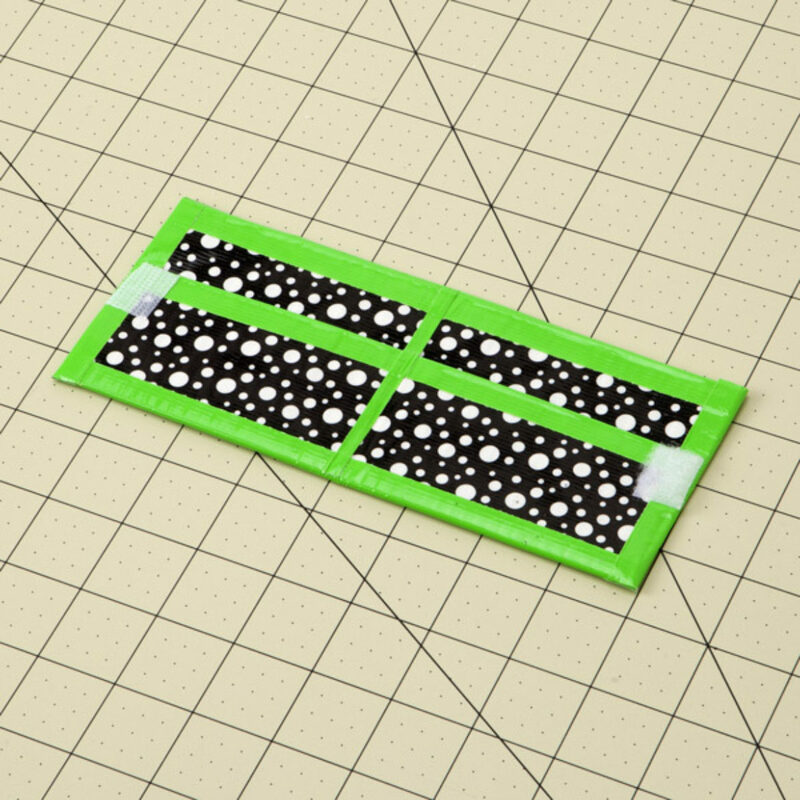 Place this strip down the middle of the inside of the wallet to make 2 card holders. 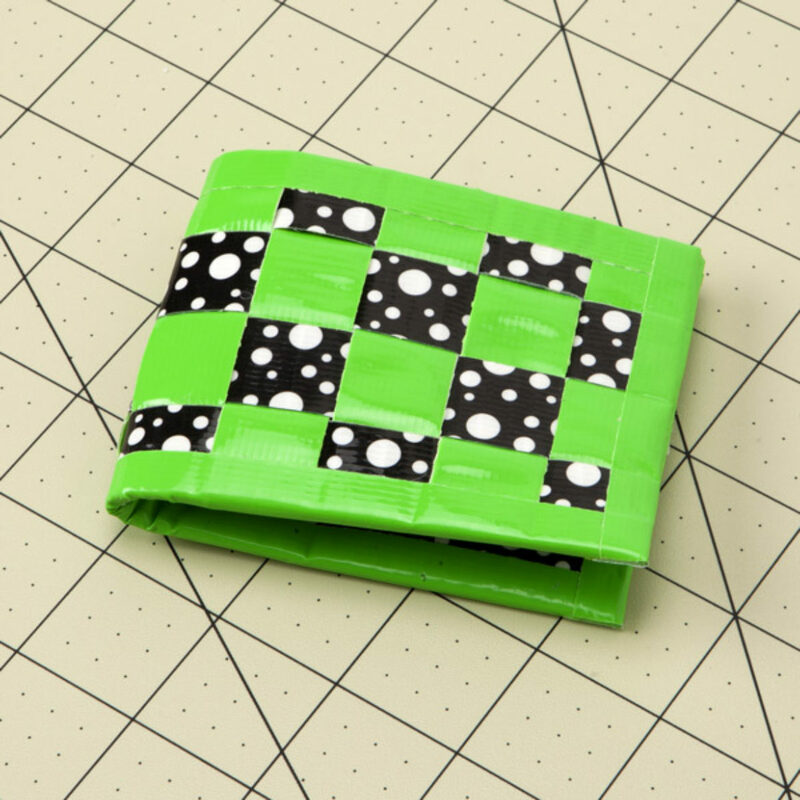 Then add a hook and loop fastener to each side of the inside of your wallet.